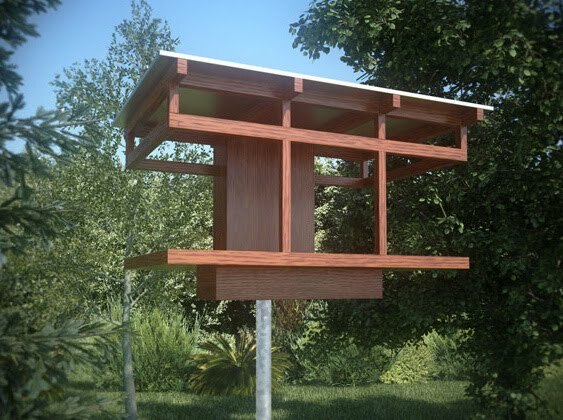 If It's Hip, It's Here (Archives): Beautiful Birdhouses and Bird Feeders For Modern Architecture Lovers. 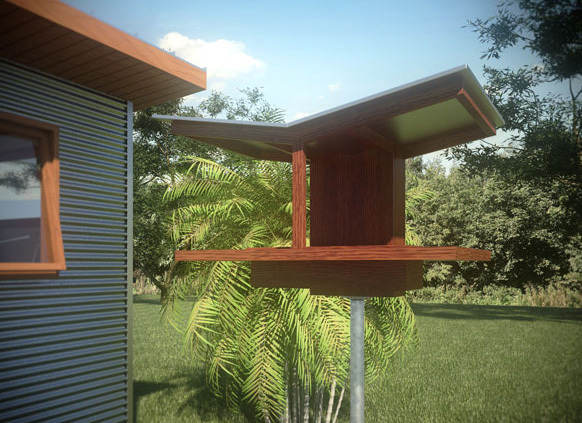 Beautiful Birdhouses and Bird Feeders For Modern Architecture Lovers. 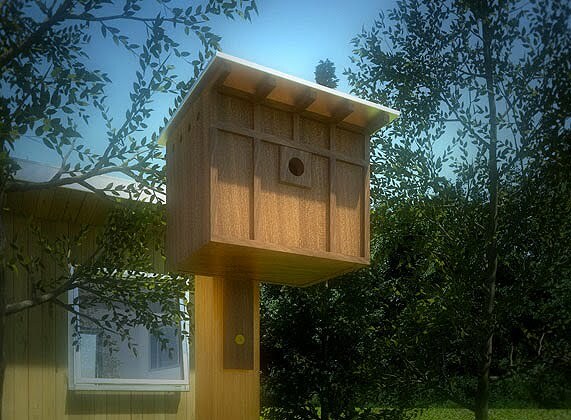 Neoshed, who makes prefab garden sheds in various sizes also makes handcrafted birdhouses and bird feeders based on those very sheds. If they sound familiar, I wrote about them in 2008, but at that time the birdhouses and bird feeders were still in the prototype phase. They have since changed in both design and materials and the price is far more affordable than the initial expected price of $250. Take a look. 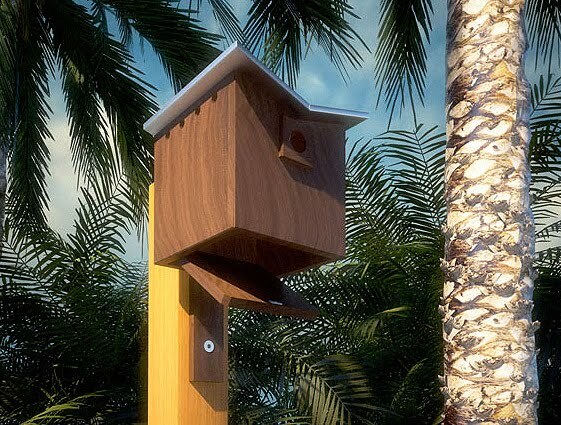 Birdhouses Type 1, Type 2 and Type 3 are based on Neoshed's own building designs. The units come in a natural finish inside and out and feature a touch release bottom panel for access, ventilation and drainage holes. Grab strips near the entrance and a mounting plate allow the unit to be taken down for cleaning. Each costs $75 USD. Order them here. 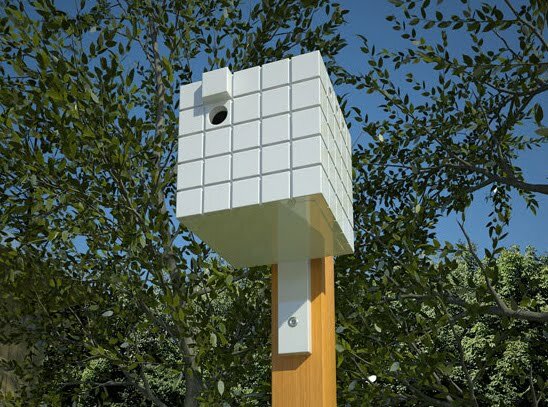 The fourth available bird house is an homage to the architecture of Richard Meier and is painted white. Price is $100 and can be purchased here. 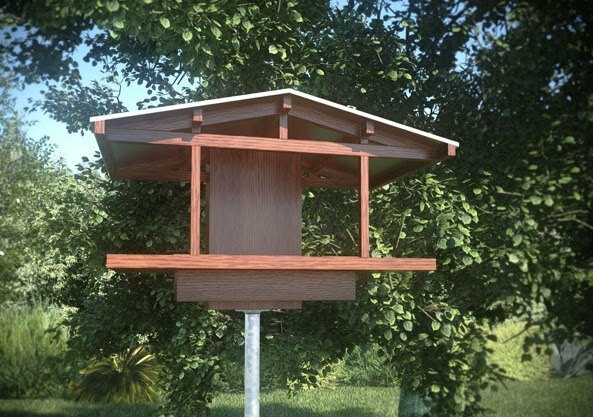 Each of the hand crafted feeders are made to order from thermally modified wood. 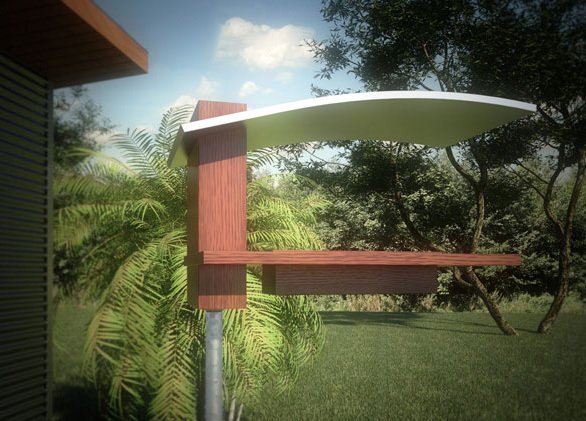 Feeders Type 1, Type 2 and Type 3 are based on our Neoshed's outdoor buildings. 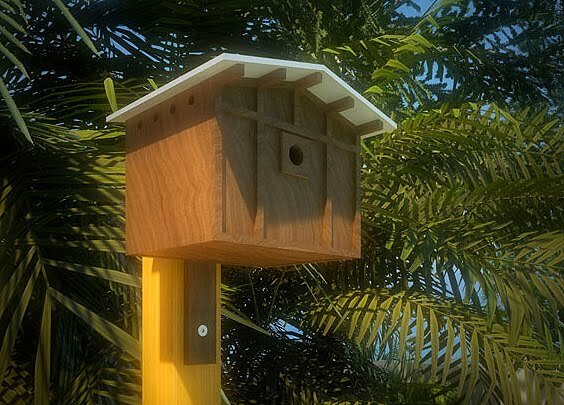 Each feeder is hand crafted to order and made from thermally modified wood in a natural finish. The seed box is removable for easy filling and cleaning. The bird feeders easily mount on 1" diameter metal conduit pipe (not included).